Michael Taylor, FDA's Deputy Commissioner for Foods, reviewed the agency's progress on the Food Safety Modernization Act at the Sept. 11 FDA Science Writers Symposium. Following is an excerpt. This is only about a third of the commissioner's remarks. See -- or read - the full speech on the FDA's website. The food safety arena is in an extraordinarily dynamic phase – at FDA and across the global food system. Change is under way, and it is change that is grounded in our scientific understanding of foodborne illness, its causes and how it can be prevented. It is thus fitting at this Science Writers Symposium to review where we are in implementing the FDA Food Safety Modernization Act (FSMA) and the science-based, public health prevention vision on which it is based, including the critical role science will continue to play. My central message is this: FDA eagerly embraces change in its food safety program and is hard at work laying the foundation for a modern, prevention-oriented food safety system that works better for consumers and the food industry. Much has been done, but much remains to be done, both by FDA and the industry it regulates, working in collaboration to reduce foodborne illness. Some of the change we're pursuing is directly called for by FSMA, while other changes are being initiated by FDA in how we work internally and with our stakeholders. I want to begin … with the vision represented by FSMA, because it is so fundamental to answering the question of "why" we are doing all of this work. It begins with the widely shared understanding that the current burden of foodborne illness in the U.S. is unacceptable. The CDC estimates of 3,000 deaths, 128,000 hospitalizations and 48 million illnesses associated annually with foodborne pathogens state the public health burden in stark quantitative terms. They do not do justice, however, to the toll on families that lose a child, parent or grandparent. And they do not capture the loss of confidence in the safety of food. We know that pathogens can enter the food supply at any stage along the pathway from the farm through processing, transport, storage and retail sale. We also know that reasonable, science-based steps can be taken at each stage to prevent and minimize the presence and growth of pathogens and thus reduce the risk of illness. Thus, stated in the simplest terms, the recognized solution to the problem of foodborne illness is a comprehensive prevention strategy that involves all participants in the food system, domestic and foreign, doing their part to minimize the likelihood of harmful contamination. It is not a strategy that assumes we can achieve a zero-risk food supply, but it is a strategy grounded in the conviction that we can better protect consumers and the economic vigor of the food system if everyone involved implements reasonably available measures to reduce risk. Reliance on private sector implementation of modern, science- and risk-based preventive measures to reduce risk. Promulgation by FDA of standards for implementation of such preventive measures by produce growers, food processing and storage facilities and food transporters. New administrative enforcement tools and a mandate to partner with state and local officials to oversee and ensure compliance with prevention-oriented standards by U.S.-based operators. An expectation that imported food be as safe as domestic food and a mandate for FDA to build a new import system, beginning with a new requirement for importers to verify that their foreign suppliers are implementing modern preventive measures comparable to the ones FSMA requires of U.S. firms. 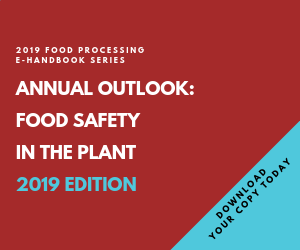 An expectation that FDA will target its FSMA implementation efforts and ongoing oversight in a manner that takes account of risk and opportunities to reduce risk and that makes optimal use of both public and private resources to improve food safety. Though many in the private sector are already implementing modern preventive measures, implementing the FSMA strategy will require varying degrees of change in private sector practices and a real transformation in how FDA does its job. FDA also knows that its rules and oversight practices must take full account of the diversity of operations covered by FSMA, be risk-based and flexible, address small business issues and be backed up by guidance, technical assistance, educational outreach and other collaborative efforts to support private sector implementation. Fully implementing the sweeping change called for by FSMA will take years, but I am proud of the work that we and our stakeholders have done in the 19 months since enactment to lay the foundation for a modern, prevention-oriented food safety system. So let me begin with what we have accomplished under FSMA. Anti-smuggling strategy published jointly with the Dept. of Homeland Security. Product tracing pilot studies carried out. Memorandum of understanding signed with USDA to establish a FSMA implementation grant program for small-scale produce growers. An advance notice of proposed rulemaking on intentional adulteration drafted and close to completion within FDA. When these rules are in place, they will play a major role in transforming the food safety system. In addition to these matters, substantial work is under way within FDA on dozens of other specific FSMA deliverables. We have known from the start that we cannot implement FSMA on our own. Thus, new ways to work with external stakeholders and partners is a central theme of our work. [It will require] public engagement and partnership [and] federal-state integration. FDA has invested enormous effort and made great progress in implementing [FSMA]. We are laying the policy, program and scientific foundation for a food safety system that will work better for consumers and the food industry. We are all fortunate to be working on food safety at this time of great challenge and historic opportunity to build a modern new system that will benefit all for years to come. It's a long-term process. We have to stick with it. But we have real momentum, and I work with confidence that we'll succeed in the great task Congress has given us.